"Whatever I feel like when I wake up in the morning." 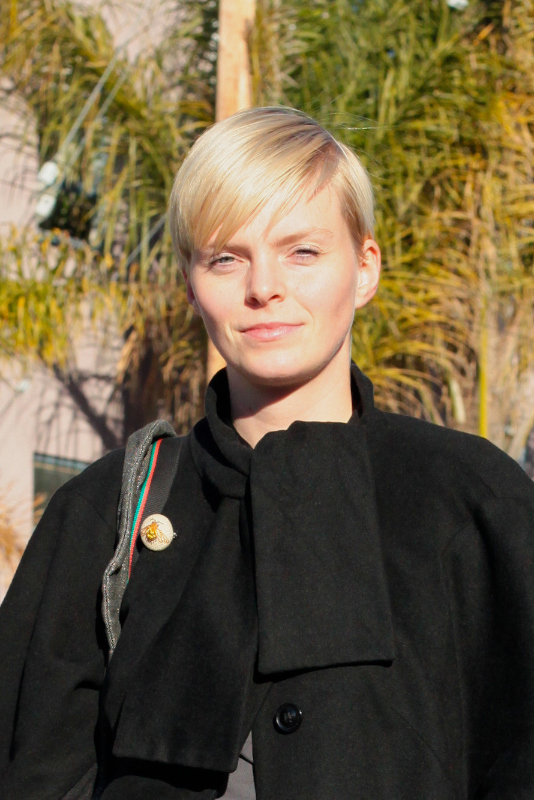 An Icelandic native in SF! I love the silhouette of her coat (check out those sleeves, how they come out at a point and the tie at the neck - so good) and those bold striped leggings (I really want some). She looks so fantastic, I want to peek into her (no doubt fabulous) closet. 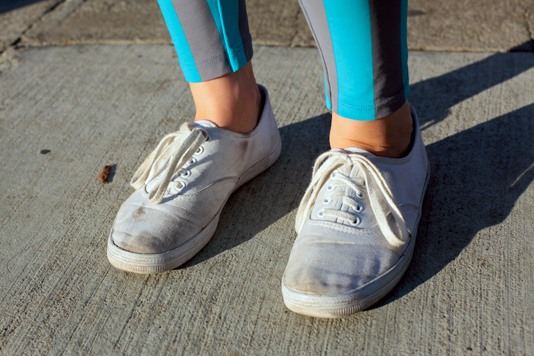 A close-up of her well-worn Keds.